At Seattle Family Cleaning, we work with you to create a cleaning plan that fits your unique needs. We offer a wide array of cleaning solutions and prices. No matter how big or small the job, we can create the perfect housekeeping plan for your home or office. Seattle Family Cleaning is a family owned cleaning company that has been serving the greater Seattle area for over 12 years. We specialize in move out, move in, deep cleaning and ongoing residential cleaning services. We will gladly give you a complimentary quote for your cleaning project. IronMaid is dedicated to providing our clients the highest quality cleaning services. We believe our clients deserve to relax when they come home. Our experienced team enjoys developing long-term relationships and works diligently to surpass your expectations. We offer eco-friendly products and equipment, competitive prices and excellent customer service. We promise to care for your home as if it were our own. We take great pride in cleaning your home and it shows. Our local, family owned company is proud to serve the hard working people in the community. Cleaning is our business. We are pleased to provide outstanding cleaning services to you. Eco-Friendly, naturally clean. Enjoy the benefits IronMaid Cleaning service has to offer. Call us to schedule a free in home estimate or book your cleaning today! 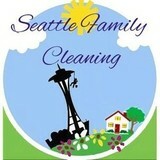 Dazzle specializes in residential home cleaning in Seattle. We are a green and carbon neutral company. We've been delighting clients since 2013 which is why we have hundreds of positive online reviews. Remedy Cleaning Company provides premium home cleaning services at an affordable rate. 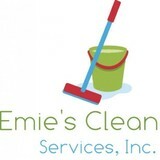 Offering quality-guaranteed home-cleaning to the Olympia, WA and surrounding area. Competitive rates, excellent results. Book an in-home estimate today! 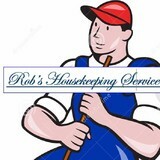 Hi,I've been in the house cleaning business for 20 years and I charge $30.00 an hour with a three hour minimum. I'm glad to provide references. Attention to detail, hard-working, dependable, friendly, to name a few of the qualities I have.Attention to my customers needs is always a top priority. Feel free to give me a call and I'm sure you won't be disappointed. Cali Cleaners is an independently owned and local company. Olga Gonzalez (owner) and her staff have been cleaning homes and offices professionally since 2001. As Olga explains “We treat each home and office as if it were our own.” That’s not just a tag line; it’s a philosophy of service. Cali Cleaners takes pride in doing the job right the first time and every time. Whether it’s an office or a home, we know your space is important to you, so it’s important to Olga and her staff…from the front door to the back window. Olga and her team are rooted in the community, dedicated to quality service and strive to make each client feel a part of the Cali Cleaners Family. I have worked in business for over 20 years, bringing integrity, process improvement and the financial understanding to ensure we offer a service that delights and exceed expectations at a fair price. In the same spirit, I employ cleaning specialists that reflect the same integrity and enthusiasm toward honest and hard work. Each employee goes through a thorough screening and on-going training and review program. Employee incentives are based on feedback from the customer. It’s not how fast they work but the quality of work and superior customer service provided. We don’t just work off of a standard cleaning checklist (although we do have one!). If we see something in need of cleaning that is not so standard – you can bet we will tackle the project. That’s Partnership Cleaning! Casa Bela Home Care is a house cleaner / cleaning service serving the Redmond, WA area since 2004. Services include Cleaning, House Cleaning, Office Cleaning, Move In & Move Out, Construction Cleaning, Maid Service, Commercial Cleaning, Deep Cleaning, Floor Cleaning, Kitchen Cleaning, Tile Cleaning and Window Cleaning. What should I expect from a house cleaner in Seattle, WA? Most professional Seattle house cleaning services will do the same tasks for a basic residential cleaning job: clearing dust and cobwebs from all surfaces and fixtures; wiping all surfaces, including sinks, tubs, counters mirrors; cleaning tile; vacuuming and mopping. You may want to have different rooms detailed at different times, so ask about doing a rotating schedule if you want them to pay extra attention to each space (like kitchens and bathrooms) every other cleaning. Some house cleaning companies in Seattle, WA will also offer additional services such as window washing or appliance cleaning, so ask about incorporating them into your deal or doing them as a one time thing if you’re interested. Pick up any clutter (laundry, toys and other gadgets) and put pets in a secure spot so they feel safe and don’t get in the way of the Seattle house cleaning company. Put out any specific cleaning products or tools you want used, and make sure to lock up any valuables that you don’t want disturbed. Most housekeeping services in Seattle, WA will enter with a spare key or garage code, but if that isn’t something you’re comfortable with then you should arrange for them to come when you are home to let them in. Typically Seattle house cleaners expect payment at the time of cleaning, so ensure you have the appropriate form of payment (cash, check or credit card) on hand, plus a little extra for tip if that’s your style and they do a great job. 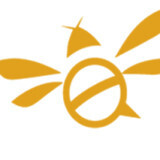 Find Seattle house cleaning services on Houzz. Narrow your search in the Professionals section of the website to house cleaners in Seattle, WA and contact local companies to ask questions and get quotes.